If you travel on a regular basis, you know what a pain it is to use the “free” wifi services and suffer from sluggesh wait times to sign up and use the services. 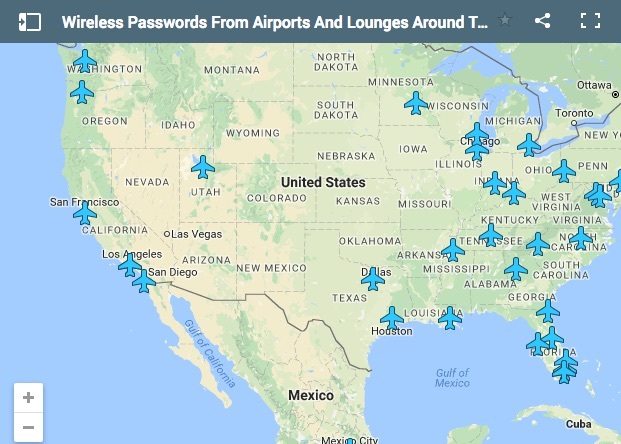 Wouldn't it be handy if you had access to the “premium” networks like the Delta Skyclub, Oneworld Lounge or Skyteam? Well, now you do – with this handy map that's updated regularly. Make sure you bookmark this page so you can access premium networks anytime you travel! While you're at it, why not share this link on your social pages too!